This is our fourth installment in the "Publishers" series. This week I've been talking about publishers that really stand out to me as producing consistently good reading materials. (See Part I, Part II, Part III.) One such publishing company is Tiger Tales. Tiger Tales really focuses on producing books that deal with character education in storybook format. I can't say my three year old has picked up on these, but it becomes obvious to older readers. 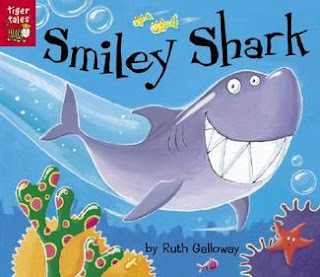 Smiley Shark is one of our top favorites and we like to read it while using our shark puppet which we've talked about before. 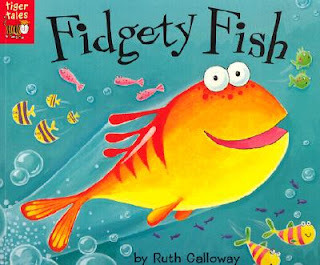 As I've mentioned before, in the series by Ruth Galloway the lesson that the books focus on primarily are being confident and comfortable with your individual skills and talents. The way we would approach this is to say, "God made you unique and special and gave you particular skills and talents He meant for you to use." That is what most Tiger Tales books teach. The illustrations in most Tiger Tales books are bright and cheerful, and also bold and simplistic appealing to even the youngest of readers. Their stories are brief and characters engaging. I've really been impressed at the quality of stories they have produced, from sea creatures to cuddly bears. Their fall titles have recently been released and I have a few to review for you below. What if you just can't go to sleep? Do you count sheep? That's what Emma tries to do in The 108th Sheep . She assumes and expects that she will be able to fall asleep by the time she gets to the number ten. However, she is surprised to discover herself still awake at sheep number 107. The problem intensifies when it is discovered that, try as he might, the 108th sheep doesn't have the strength it takes to leap over the bed! Some problem solving must take place in order to get the weak little sheep over the bed before Emma finally falls asleep. 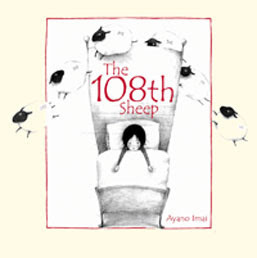 Written and illustrated by Ayano Imai, this is a simple story, which has a familiar ring to it, but enough of a twist to keep the reader engaged and interested. What cute books, and interesting stories. 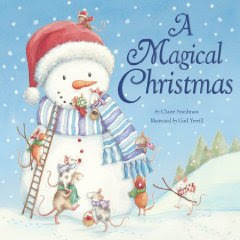 Love the look of Magical Christmas. Well of course I'm interested in a children's book recommended by you! I just discovered your sight and I'm loving it so far. As a mom to 4 boys between 4 months and 9 yrs of age we read a variety of books. Hope I win! I love children's books. Cool. Please enter me in the drawing. I'd love to win one of these books. Thanks. These look like such fun and educational books to add to our library! Please enter me, too. What adorable books! My daughter in law is trying to get a lot of books to fill up Lily's bookcase. She would love these. Lily just turned 3 and already has a passion for reading (well, being read to, lol). I'm very interested! These look like fun books! These look like great giveaway titles... I'd love to receive one! These books look great--please enter us! I'd love some new reading material for my son and these look great! Thank you for the chance to win! 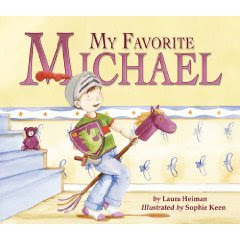 All that to say My Favorite Michael would be a big hit around my house. 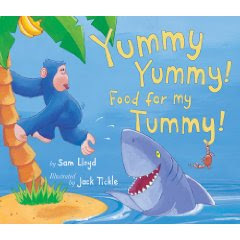 I love kids books and I would love to win these! It doesn't hurt that my son is named Michael either. ;-) I think I might have to get him My Favorite Michael anyway. These would be a perfect gift for my son this Christmas. 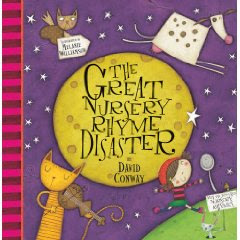 What great books for children. I would love to have them to read to my grandson. Please enter me in the giveaway. These look like great children's books. I hadn't heard of that publisher before, so thank you for introducing me. I would love to win one of them! I have recently found Tiger Tales myself and they are adorable books! 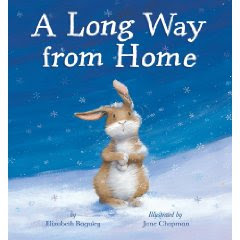 I love Christmas themed books and would enjoy adding this one to my collection. Thanks for the chance! 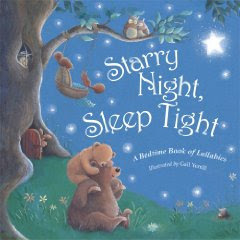 I love cute books! Thanks for the giveaway. These look great. Please count me in. These would be wonderful books to win!